2011 was a busy year in windsurifng, with many accomplishments and a few pit fall, find out about my biggest wins and losses here. Here are the 5 biggest things that happened to me in 2011. Follow the jump to see them all. 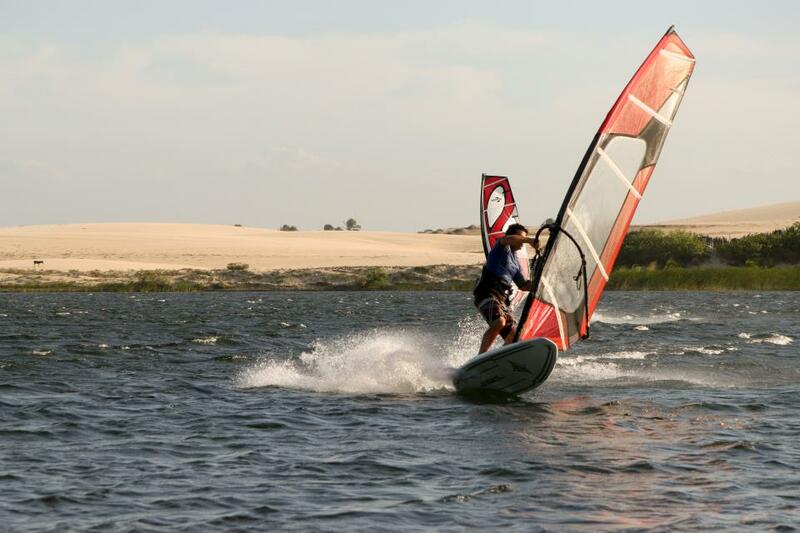 Lets hope 2012, bring lots of wind, lots of windsurfing, and no more injuries. Happy new years! Well I’m still in Icaraizhino Brazil for another 20 days!! I’ve been windsurfing almost everyday, and getting my forward loops down more on that later. Things have been pretty quite so I have been windsurfing lots. Tomorrow most people will be spending time with family, and enjoying the food and holidays. Its pretty, much another normal day for me here, and will be spending lots of time on the water! Tonight I’m just going for a big all you can eat Brazil BBQ at Wind Icarai, should be good it always is. So after a long flight well 3 and 24 hours in airports I arrived in Fortaleza Airport. I saw the Club Ventos sign and headed over to the driver. He Didn’t speak any English, and I didn’t speak any Portuguese, but we soon managed to communicate we where waiting for two more people coming on the transfer to Icaraizinho. After 3 hours of waiting they finally arrived, but without there bags, after an hour or so of trying to sort that out we where finally on our way. In about 2 hours we arrived in Icaraizhino, where I was greeted by my boss and a few others from Club Ventos. Had a quick beer and I was ready to crash. The high humidity kept me from sleeping the first night but I quickly adjusted. I’ve been here for just seven days. The wind has been light, quite unusual weather for here. I’ve sailed a total of seven days, on sizes from 6.2 to 5.1. Several days I was under powered. Today the weather got back on its normal pattern, and looks like it will be increasing over the next few days, and I’m quite excited. I had my best session on the trip today on a 5.9 throwing big airs of the waves on the reef, working on duck jibes, and even attempting one forward. Which I should be completing any day now. The waves on the reef do far have been quite small, but I’ve been told they can get about head high to a little higher. I can’t wait for that. Inside the reef there is a nice flat water zone for ripping jibes and working on freestyle maneuvers. Pictures will come soon, and I’ll work on some video but the internet is quite slow here, and cuts out when ever the phone rings. So check back for some awesome pictures and videos from a windsurfing paradise! As well sorry for my possibly horrible grammar and spelling, I think I’m forgetting it even more as I try to learn Brazilian Portuguese. The Launch of Prairie Ocean Windsurfing! My friend Ben and I decided to launch a windsurfing school in Manitoba, in hopes of returning it to itsglory days here on the prairies. A formor windsurfing instructor, used to make 40k + in a summer teaching lessons and selling gear! That be nice, hello Maui for the winter!! We’re going to be offering group and private lessonsall summer, so check us out! If you’re in Manitoba, grab a lesson! Ouch. Captured somewhere in the Outer Banks, NC. You can expect to see some changes over the next month. See you soon.